In such a slim volume, there is so much depth. Ross plays with form and function, mixing prose with poetry, shaping Revolution-era newspaper articles into stanzas and weaving together bits of Gospels, Shaker writings, William Blake and even Sappho into the Mother Ann's narrative. The notes at the end of the book are a must-read, as they help the reader engage and decode the poetry even further. She also provides a list of her source material, and by the end of the reading, the reader may be tempted to read more on this incredible historical figure. "They'll say he was a bad man, but I know how hard it is to live with God. In the flesh, in the flesh, where are you Ann? You're a spirit banging at your own rib cage. [...] he danced me across the room, laughing, the heat from his grip burning my side. I shook my head, No, Abraham, no, and he stumbled. We fell sideways to the floor, tangled, my cheekbone pressed to the wing of his shoulder, the rough weave of his hemp shirt. I could smell sweat soaking the cloth, strong with fear and sadness." Ross doesn't canonize Mother Ann. Instead, she reveals the human being she was, rife with complex paradoxes: disgust and love, fervor and patience, the dichotomy of the spiritual and corporeal entities. It's a work powerful in voice and craft. I also want to take a few words to acknowledge the Milkweed Editions, the non-profit publisher of Seedlip and Sweet Apple. I worked briefly in the world of publishing and am compelled to spread their message: "Milkweed Editions publishes with the intention of making a humane impact on society, in the belief that literature is a transformative art uniquely able to convey the essential experiences of the human heart and spirit. In an increasingly consolidated and bottom-line driven publishing world, [the reader's] support allows [Milkweed Editions] to select and publish books on the basis of their literary quality and message." 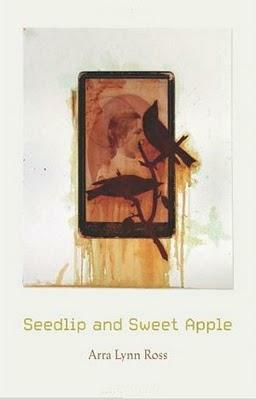 If you care about the value of our national literature, Seedlip and Sweet Apple is well worth the investment.